Digital Spy reports, EastEnders bosses have announced that actress Ellen Thomas is joining the soap’s cast as a new matriarch for Walford. Thomas’s character has been tipped to cause trouble with her “tough-talking” nature when she makes her first appearance on screen later this month, but how she is connected to the Square remains to be seen. “This is one of the most formidable and complete characters I’ve ever played. I’m really looking forward to the delicious mayhem she’s going to bring to Albert Square. I am going to take a wild stab in the dark here and guess that she will play the mother of Denise and Kim Fox. 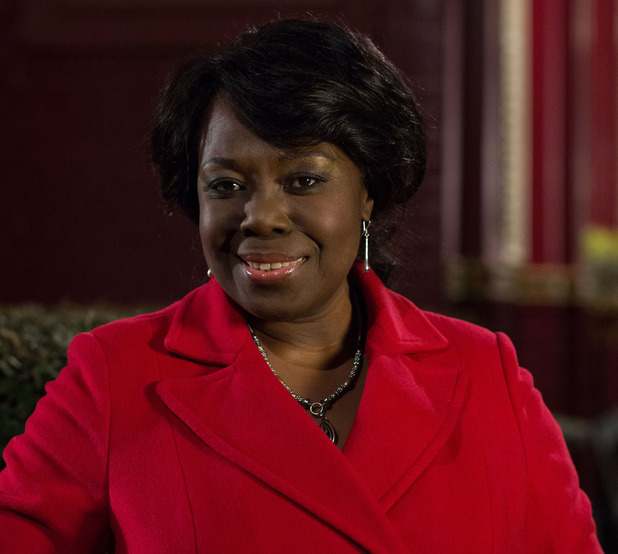 Ellen was in Eastenders not that long ago playing the role of Grace Olubunmi (Mercy’s grandmother). I only hope that the script writers keep this TV veteran around a lot longer this time.